Team-BHP reports that the seventh-gen BMW 5-Series (G30), which was launched in June 2017, is now available with the M Sport trim for the petrol variant. The BMW 530i M Sport will be sold alongside the entry-level 530i Sportline trim. Compared to the BMW 530d M Sport, the BMW 530i M Sport misses out on fine-wood trim, Nappa leather upholstery, front comfort seats with lumbar support, Head-Up Display (HUD), Instrument Panel in Sensatec, and 4-zone automatic climate control. 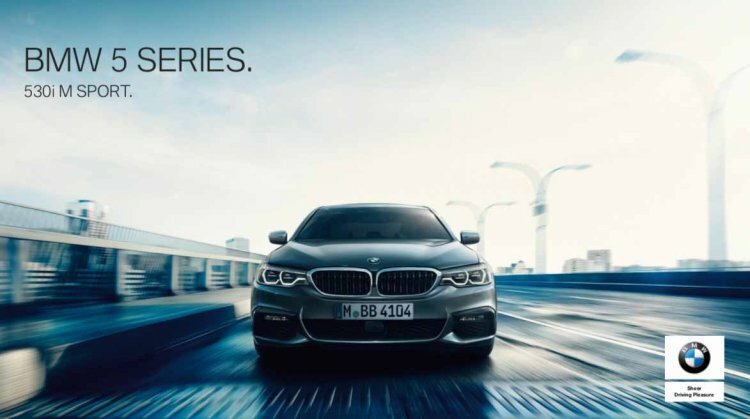 The BMW 530i M Sport variant features the M Sport package that has been until now reserved for the 530d model. It features a sportier front bumper with a larger air intake and a dual-tone rear bumper with rectangular exhaust tips. The sportier-looking model even features adaptive LED headlights, LED fog lamps, and 18-inch M alloy rims. The interior of the BMW 530i M Sport features Aluminium Rhombicle trim with Pearl Chrome highlights, sports seats draped in Dakota leather upholstery, dual-zone automatic climate control, 12.3-inch multi-information instrument display, and a touchscreen infotainment unit that supports BMW Apps, gesture control, satellite-aided navigation and Apple CarPlay connectivity. The equipment list of the new model even includes BMW Display Key, Remote Control Parking, Park Assistant Plus with 360-degree camera, Comfort Access System and wireless charging. Powering the BMW 530i M Sport is a 2.0-litre, 4-cylinder turbocharged petrol engine that produces a maximum power of 248 bhp at 5,200 rpm and a peak torque of 350 Nm at 1,450-4,800 rpm. The motor comes mated to an 8-speed automatic transmission that offers steering-mounted gearshift paddles. Until now, the M Sport trim had been exclusively available with the 530d engine variant. The BMW 530i M Sport has gone on sale in four colour options - Alpine White, Black Sapphire, Mediterranean Blue and Bluestone. Currently, the BMW 530i Sport Line is priced at INR 53.80 lakh (ex-showroom, pan-India). 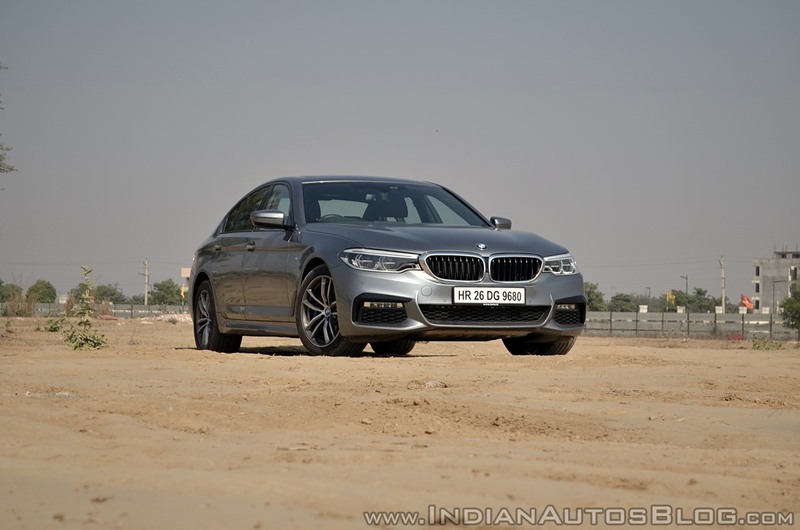 The M Sport trim is expected to command a premium of over INR 4 lakh.